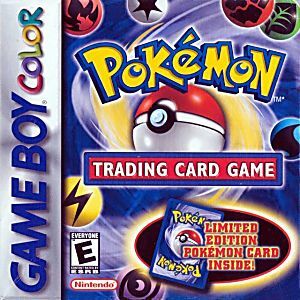 Pokemon Trading Card Game Game Boy Color Game Cartridge Cleaned, Tested, and Guaranteed to Work! Got this recently, wanted it back for so long since I had lost my copy. For the quality of the game well it works, the sticker is all faded out at the top. Funny how the cheapest thing I purchased is flawless and works as intended. It's what I wanted,it's not a bootleg and the shipping was cheap as hell! Great game, works perfectly. Been riding the nostalgia train ever since it arrived. Speaking of its arrival it came earlier than expected and as always the Lukie team and website was a pleasure to deal with. This game arrived in good condition and quickly. It works great. I was worried about a dried battery since this game is older, but it's working fine. I've been playing this game for quite a while now, daily, it's still very fun. Game arrived in excellent condition and worked perfectly. Lots of fun! Great game for anyone who likes Pokemon. I'd never played the card game before but I couldn't put it down. I really enjoyed this game and it came in great condition!! definitely a great buy!! If you were a kid of the late 90's or early 2000's you knew about the Pokemon Trading card game, it was everywhere and insanely popular just like the cartoon and video games. If you were like me then you probably didn't really know how to play the card game nor understand it very well, this game solved that for me. Not only did I learn how to play the card game, this game is actually a game so to speak. Its an RPG similar to that of the mainline series, so instead of catching them all, you're collecting them all. This is a great game, and should be in any Pokefans collection.